Bethesda drops Steam for Fallout 76 launch - has Fortnite given publishers the confidence to go it alone? Fallout 76 will not be coming to Steam - instead the upcoming title will be released via Bethesda's own client. That's according to PCGamer, who spoke to the publisher and developer and was told that both the upcoming beta and the full game will be launching on Bethesda.net. 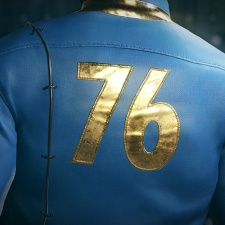 This follows marketing for Fallout 76 not featuring the Steam logo, rather a simple 'PC Game' brand. Additionally, Bethesda told PCGamer that any progress made in the beta - set to take place in October - will be carried on to the full game. Fallout 76 isn't the only upcoming game to not come to Steam after years of its franchise being present on the platform. Call of Duty: Black Ops IIII is also avoiding Valve's platform, instead launching on Activision Blizzard's Battle.net service. It's entirely possible that the success of Fortnite, which launched on Epic's own client on PC, has given big publishers and developer the confidence to go it alone in this space. Additionally, Steam becoming an increasingly inhospitable and busy marketplace means that these companies might be looking to release on their own platforms to their own dedicated audiences. Launching on Steam means Bethesda would be giving up a cut of its revenue - but that is made up by the fact that Valve's platform represents the largest single audience in the PC games market. Being able to avoid that could be more profitable - if Bethesda can draw a big enough player base to its own platform. This being Fallout, we doubt that'll be an issue. It's also possible that Fallout 76 will be released on Steam at a later date. Fallout 76 was announced ahead of E3 this year, with Bethesda showing off the first gameplay at the show. The title marks a departure from the single-player games the franchise is known for, but the firm's director Todd Howard says Bethesda hasn't given up on these kinds of titles.